The new front in the War on Terror is the "homegrown enemy," domestic terrorists who have become the focus of sprawling counterterrorism structures of policing and surveillance in the United States and across Europe. Domestic surveillance has mushroomed - at least 100,000 Muslims in America have been secretly under scrutiny. British police compiled a secret suspect list of more than 8,000 al-Qaeda "sympathizers," and in another operation included almost 300 children fifteen and under among the potential extremists investigated. MI5 doubled in size in just five years. 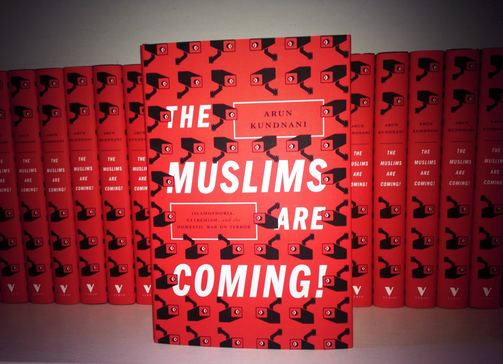 Based on several years of research and reportage, Arun Kundnani's new book, The Muslims Are Coming! : Islamophobia, Extremism and the Domestic War on Terror is the first comprehensive critique of counterradicalization strategies. Kundnani, a fellow of the Soros Foundation, believes the wider war on terror at home to be founded on a fantasy. The west, he says, "is dedicating tens of billions of dollars a year to fighting a domestic threat of terror violence that is largely imagined". Kundnani's argument is compelling in its dissection of governments' disproportional responses. He estimates the FBI has one counter­terrorism agent per 94 Muslims in the US, which approaches a Stasi-esque ratio of spies to citizens. He shows that authorities keep drawing spurious lists of suspected radicals; one in the UK included almost 300 children under 15. Journalist Rachel Shabi, author of of Not the Enemy: Israel's Jews from Arab Lands discussed the book here in her Al Jazeera opinion column on Britains micro-managed muslims. Shabi draws on Kundnani's account to critique the current climate which reinforces "a sense that terror fears over Syria are being used as a hook by security services to win ever more powers of surveillance and arrest over an already micro-monitored population of Muslims in Britain." Elsewhere, Rowena Mason wrote in the Guardian on the multitude of tough questions facing UKIP. Mason states Nigel Farage's political group in the European parliament have "compared childbearing Muslim women to Osama bin Laden, spoken at a rally with the BNP's Nick Griffin, and defended some of the far-right views of the Norwegian mass murderer Anders Breivik." It is a timely reminder of the prominent ugliness of modern right-wing British politics. Arun Kundnani was quoted in the piece as saying that "it was worrying that a mainstream party such as Ukip has links to people who have expressed ideas of the Islamophobic far right.... The argument that Islam is not a religion but a totalitarian ideology is the standard line of the US far-right Islamophobic conspiracy theorists," he said. "The term 'Islamisation' also has the same pedigree." Looking to this myth of Islamisation, Boris Johnson's comments earlier this month suggesting that children of Islamic extremists be taken into care to prevent their being radicalised are just as indicative of widespread Islamophobia. Arun Kundnani wrote this rallying opinion piece in the Huffington Post criticising Boris Johnson's radicalisation myth-making and citing his misguided comments as a perfect illustration of "our collective failure to understand the problem of terrorism." 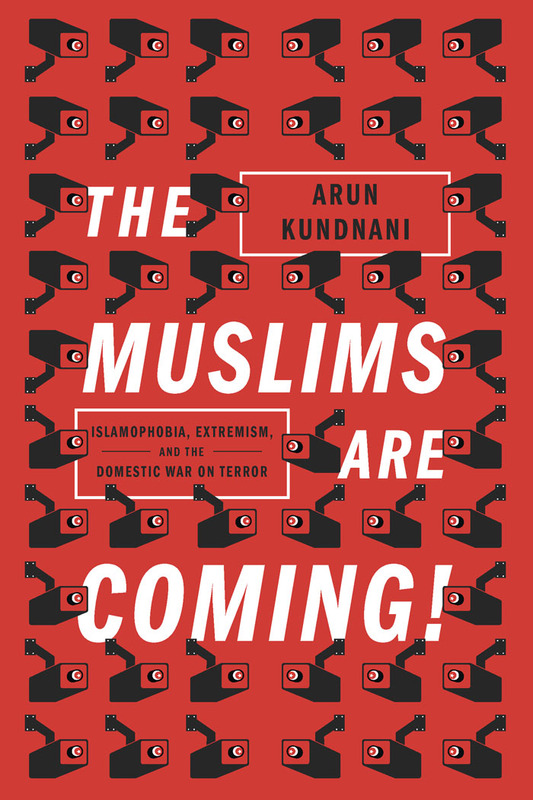 The Independent, calls Kundnani's books a "gripping exposition of how the west has made a post-communist enemy", as his "facts and figures in the book scythe through presumptions and prejudices." To learn more about The Muslims Are Coming! please see here.